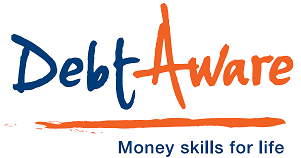 This ground-breaking financial education programme began when national debt charity Debt Advice Foundation and Southlands High School in Chorley decided to collaborate to find a new way of encouraging young people to learn how to manage their money responsibly. The charity advises thousands of people every year who are struggling with unmanageable levels of personal debt. It knew that the key to financial responsibility was to understand the basics of budgeting – something that at that time was rarely taught in school. But the founding group also knew that most families don’t discuss their finances. Most children are shielded from anything to do with money, leaving them woefully unprepared to cope when they finally start looking after their own money. They knew that many children would think that managing money was nothing to do with them. So they turned to young people themselves to find a way of making money management relevant to them. They quickly realised that, while secondary students needed to understand much more about handling money, lessons ought to start in primary school – because key behaviours and attitudes are formed before children even start secondary school. The secondary students were full of ideas about the best way to learn about money at primary school; it seemed likely that, since they were so keen, their enthusiasm would be infectious. The peer-to-peer money mentors programme was born.